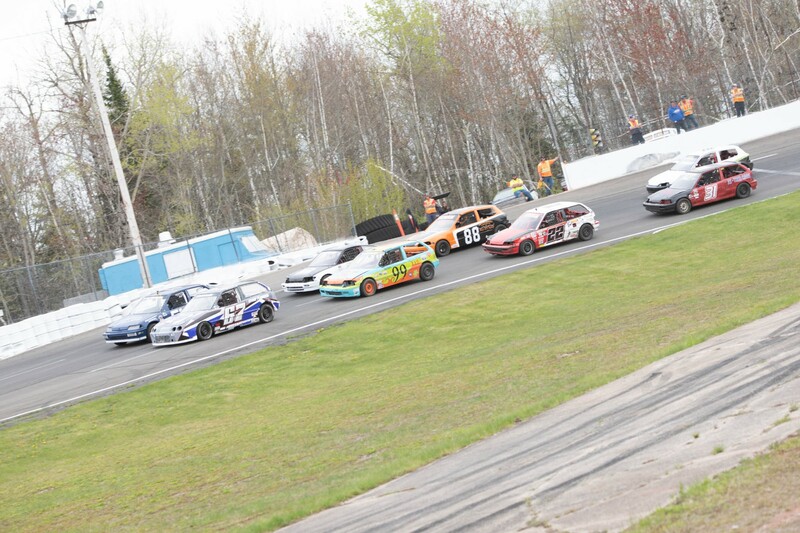 (Dartmouth, NS – August 21st, 2018) – The MJS and Prime Lift East Coast Mini Stock Tour head to New Brunswick for Round Five of the 2018 season, the StickerFool.com 50. The race marks the second and final stop of the season for the Honda based Four Cylinder Tour to Petty International Raceway on the year and the second of four straight races that culminates with crowning a 2018 champion at Riverside International Speedway on September 8th. The StickerFool.com 50 is a part of the 54th Jones Auto Body River Glade International weekend and has a post time on Saturday, August 25th of 6pm. Reigning MJS and Prime Lift East Coast Mini Stock Tour champion Tim Webster (Beaver Bank, NS) drove to victory lane at Riverside International Speedway last Friday for his first win of 2018. By winning the Passione Flooring and Interiors 50, he became the fourth different winner on the Series in as many races in the current season. Joining him on the podium in the most recent race were the two most recent feature winners, Lake Doucette Motor Speedway winner Matthew Warren (White’s Lake, NS) and Scotia Speedworld winner Andrew Warren (White’s Lake, NS). The trio lead the point standings with three races to go in the season. Matthew Warren shows the way but it is a slim six points back to his brother Andrew and Webster, who find themselves tied for second place in the point standings. They, along with Chris Hatcher (Beaver Bank, NS) are the four eligible drivers for Saturday’s United Rentals Dash for Cash Award during the StickerFool.com 50. The top driver at Petty International Raceway of those four will receive a $100 bonus courtesy of Series sponsor United Rentals. The top four in the StickerFool.com 50 will qualify for the United Rental Dash for Cash at Speedway 660 in the September 1st running of the Pub’s Drive Thru Bottle Exchange 50. When the MJS and Prime Lift East Coast Mini Stock Tour opened in May, it was Dave Matthews (Kennetcook, NS) driving “the Mystery Machine” to victory lane in the Season Opener at Petty International Raceway. Matthews is looking to rebound from a seventh place finish at Riverside International Speedway and sits well within the championship chase with a 12 point gap between himself and Matthew Warren for the lead. With Matthews also being the most recent Speedway 660 winner on the Series, these next two races will be key for the No. 99 team’s quest for the 2018 championship. Darren Flemming (Rawdon, NS) sits fifth in the championship standings with just three races to go. Since the MJS and Prime Lift East Coast Mini Stock Tour has been to Petty International Raceway, Flemming has pocketed a feature win in their Mister Transmission Mini Stock house division. Flemming was eighth at Riverside International Speedway and will have work to do in the final three races with a 27 point disadvantage between himself and the championship lead. Neil Miousse (Kentville, NS) is coming off a strong fifth place finish at Riverside International Speedway in the Passione Flooring and Interiors 50. Miousse is running the No. 55 Civic for Bob Landry, who is celebrating his 40th year of involvement in stock car racing in the Maritimes. Miousse, who finished outside the top ten in the Season Opener at Petty International Raceway, has moved to sixth in the point standings with three races to go. Cody Byrne (Orwell Cove, PE), “The Ironman” Drew MacEachern (Dartmouth, NS) and Taylor McLean (New Glasgow, NS) all sit within the top ten in points and hope to move a little closer to the top five with a strong run Saturday in the StickerFool.com 50. They will be joined by Port Hawkesbury, Nova Scotia’s Jerome Tracey as he has a top ten points position in his crosshairs in his fourth start with the series in 2018. Trevor Smith (Timberlea, NS) is expected to make his MJS and Prime Lift East Coast Mini Stock Tour debut Saturday in the StickerFool.com 50. A regular at Petty International Raceway, Smith has seen success across the board in four cylinder race cars in his racing career and will be a contender when the green flag flies on Saturday in the No. 33x Civic. The Giles Auto World Pole Challenge, EIT Race Radios Hard Charger and the #29 Race Team Hard Luck Award will also be up for grabs for eligible competitors at Petty International Raceway during the StickerFool.com 50 race day. 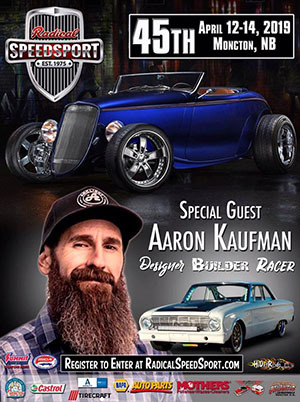 Grandstand admission prices for Saturday’s events at Petty International Raceway, including the StickerFool.com 50, are $35 for adults and $10 for youth aged eight to 18, while children seven years of age and under will be admitted free. Pit admission is $40 and is restricted to those 16 years of age and older. Tickets are available at the gate on race day. Sticker Fool offers custom vinyl sticker and t-shirt solutions to fit any budget. Whether your order is one or one thousand, Sticker Fool can see your project from the green flag to checkered. You can shop their inventory online or submit ideas for your next order on their website, StickerFool.com.